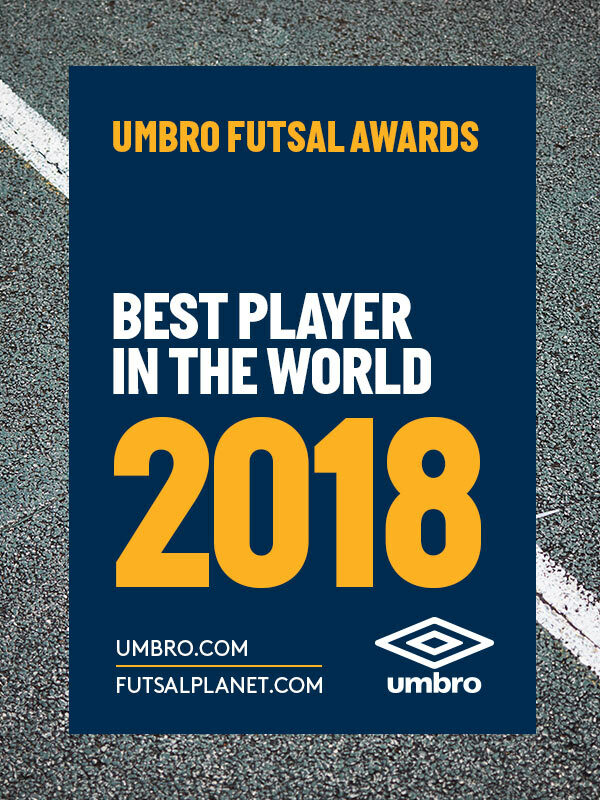 International Competitions - December 09, 2018 21:00UMBRO Futsal Awards 2018Best Player in the World: nomineesThe last one, the eagerly awaited one! 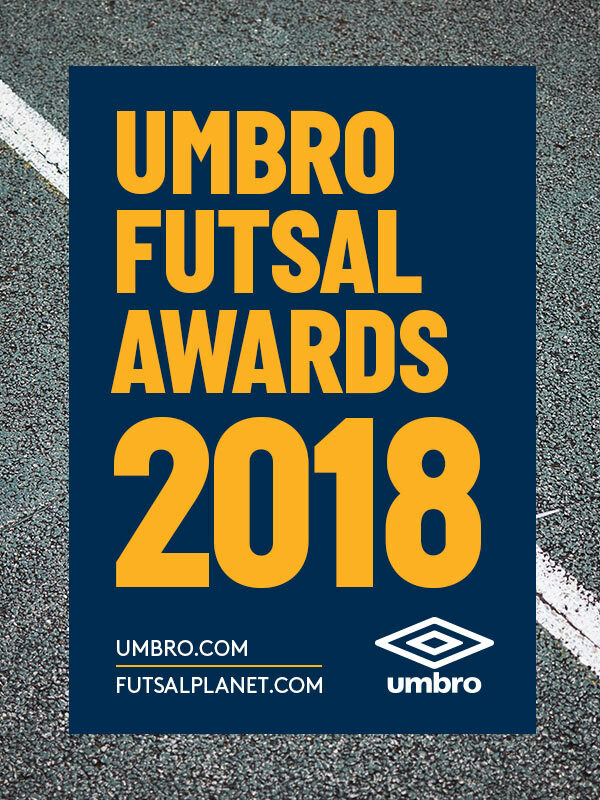 We have reached the end of our nominees lists, first stage of the UMBRO Futsal Awards 2018, 19th edition of the most traditional and recognized futsal prizes released by Futsalplanet.com. Since tomorrow our experts jury, featuring futsal people coming from all around the world, will be asked to take part in the voting process. This second step will end on next December 30th, while the following day we will release all categories winners! So, after twelve months of magnificent futsal challenges who are the ten nominees in contention for the Best Player in the World category? Have a look below! Pato Futsal (BRA) - BRAZIL N.T. Movistar Inter FS (ESP) - BRAZIL N.T. Movistar Inter FS (ESP) - PORTUGAL N.T. Club Atlético San Lorenzo de Almagro (ARG) - ARGENTINA N.T. Sherkat Melli Haffari (IRN) - Naft Al Wasat (IRQ) - Qingdao Impulse Chenxi (CHN) - IRAN N.T. AFC Kairat Almaty (KAZ) - Mes Sungun Varzaghan FSC (IRN) - IRAN N.T.